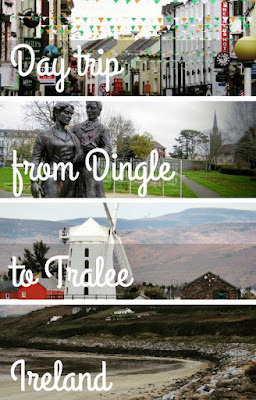 Tralee is an easy self-drive day trip from Dingle Town in the West of Ireland. We spent four days on a road trip from Dublin to Dingle over the Paddy's Day weekend this year. 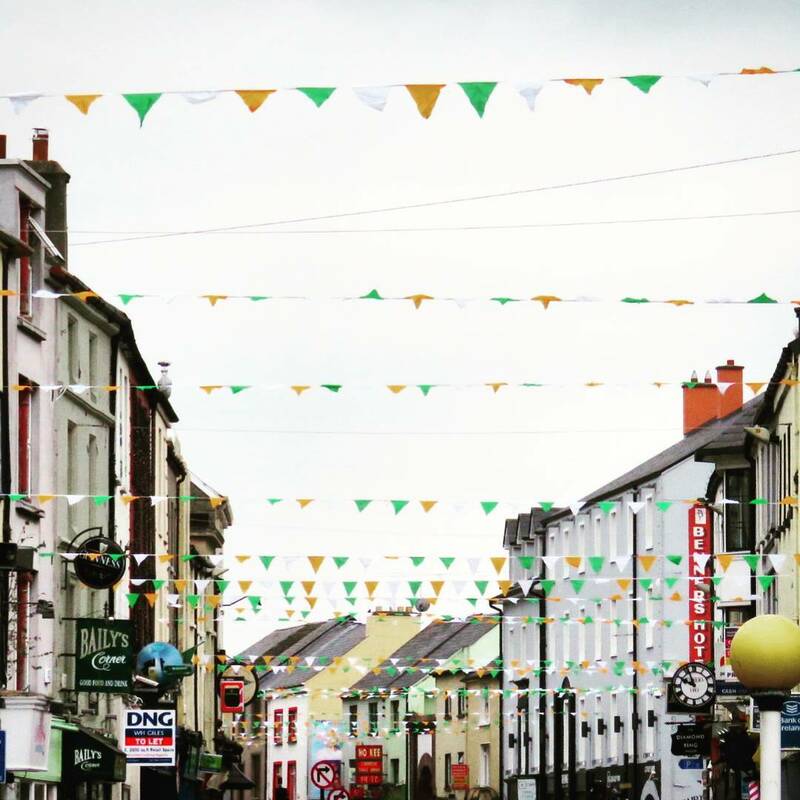 A long weekend in Dingle allows plenty of time for the road trip to Tralee. How long is the drive between Dingle and Tralee? About an hour from point to point with no stops making it an ideal day trip distance. 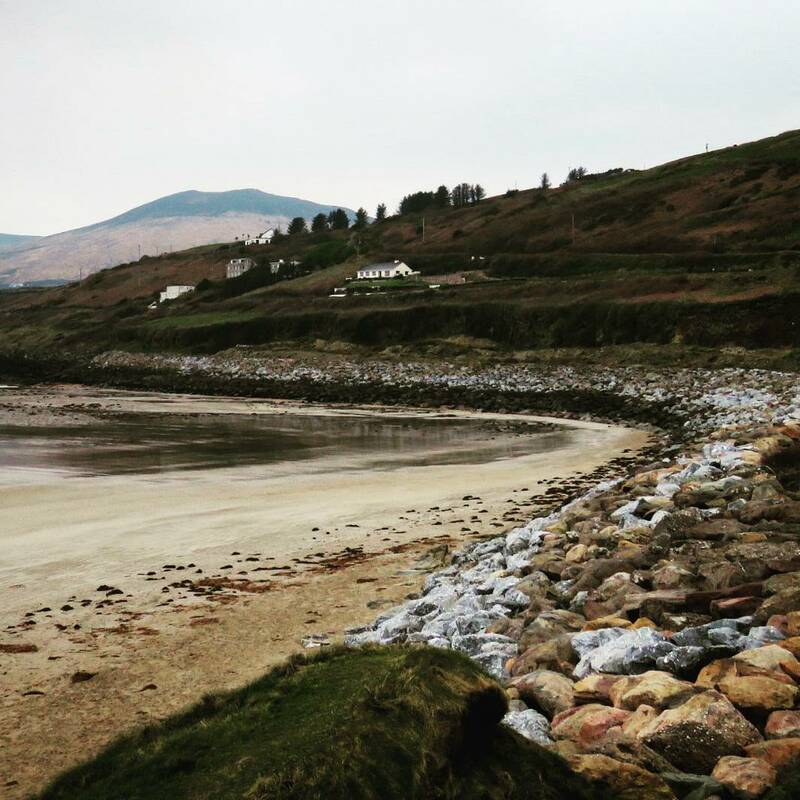 Read on to find out more about the sights and scenery between Dingle and Tralee in North County Kerry. There are two roads into Dingle Town, the N86 and Conor Pass. We were warned not to tackle the Conor Pass on our way into Dingle after driving for nearly five hours from Dublin (granted, there were a few pit stops on the way...) However, Conor Pass is known as one of the most scenic drives in Ireland so we used our day trip from Dingle to Tralee as an excuse to check it out. The weather was beautiful at sea level when we set out from Dingle Town after breakfast. I did notice a cloud layer looming near the peak of the surrounding mountains but thought nothing of it until we continued to climb the narrow winding road and soon found ourselves surrounded by fog on Conor Pass. The drive was harrowing for about 5-10 minutes since I really couldn't see more than a few feet in front of me. We emerged briefly from the fog near the peak and looked down into the valley. We couldn't see much but the lingering fog added a peaceful atmosphere to the place that we appreciated. Driving on, we emerged from Conor Pass and coasted downhill toward Castlegregory. We pulled over to the side of the road and did a bit of beachcombing as we stretched our legs. We had the beach entirely to ourselves and spotted all sorts of cool shells washed up out of the sea. Tralee is famous for the Rose of Tralee festival in which women from across the counties of Ireland (and those with Irish heritage from around the world) compete in a "beauty" pageant. The whole affair is quite non-traditional compared to what you see in the US and on the global stage: there is no swimsuit competition (thank goodness...). The winner is the person judged to best represent the attributes "lovely and fair". The competition is judged based on personality and the winner should be a good role model for the festival and for Ireland. We spent some time walking around the park that hosts a list of winners and a statue of a dashing young man delivering a rose to a lovely and fair young lady. Tralee is also home to the County Kerry Museum and covers a great deal of regional history. There is even a complete reproduction of a medieval street in the basement to give a sense of what life was like in Tralee hundreds of years ago. Just outside of town, the Tralee Bay Wetlands offers a unique habitat for birding. The price of admission includes a short boat tour and afterwards guests can walk around and enjoy the hides dotting the property. We even spotted a few stonechats (they are super popular among birders). The reserve also looks after various injured birds. We got to see a Eurasian crane and whooper swan. 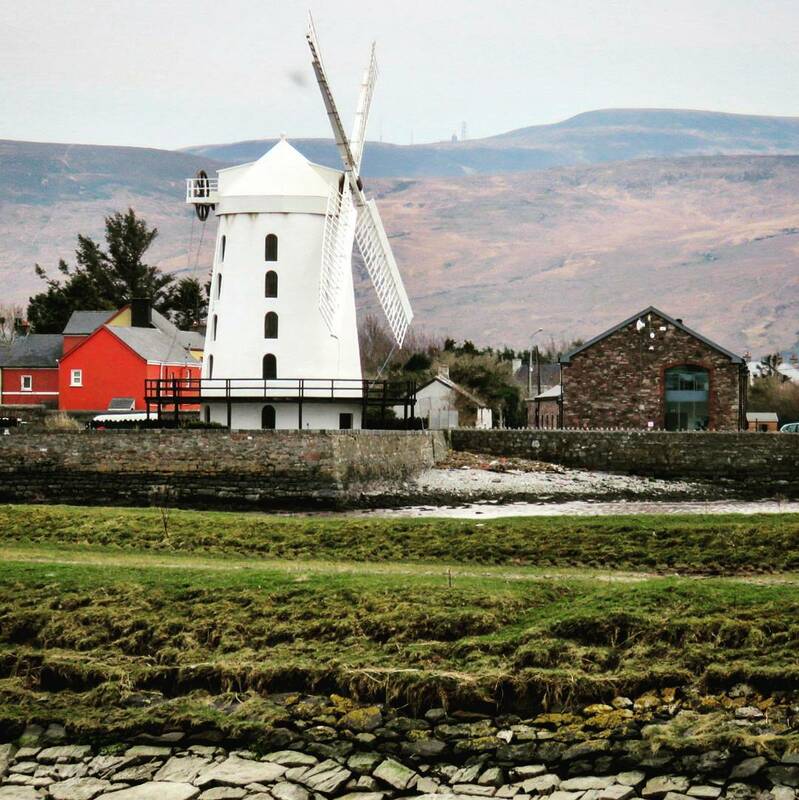 Just outside Tralee, Blennerville Windmill sits at the mouth of the River Lee where it meets Tralee Bay. The windmill dates back over 200 years and is the largest of its kind in Europe. There are walking trails along the river and bay making for a peaceful stroll. On our return drive from Tralee to Dingle Town, we made a pit stop in Anascaul at the South Pole Inn. 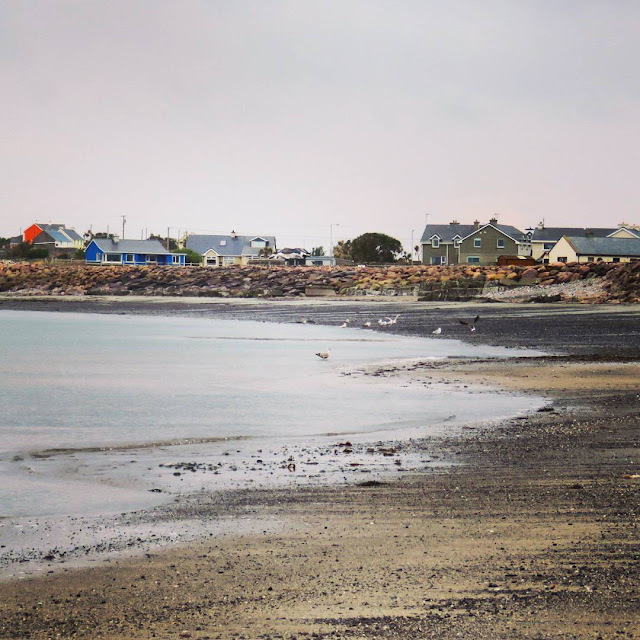 Tom Crean, the famous Irish Antarctic explorer lived out his days here. The pub features Tom Crean beer from the Dingle Brewing Company as well as a variety of photos and artifacts from Tom Crean's three Antarctic expeditions. It's a fascinating stop to stretch your legs on the return journey from Tralee. The West of Ireland is all about scenery. We wound our way down and away from the hills toward water's edge and stopped again to stretch our legs at Inch Beach. I was so impressed by both the moody colors and textures on the beach. I think we would have had an entirely different experience and mood if the sun had been shining that day. The muted earth tones just felt right. There is so much to see and do on the Dingle Peninsula and a day trip between Dingle Town and Tralee makes for an ideal drive. There was lots to see but the road trip was still manageable in the limited early Spring daylight hours that we had. Are there other places you'd add to a road trip on the Dingle Peninsula? 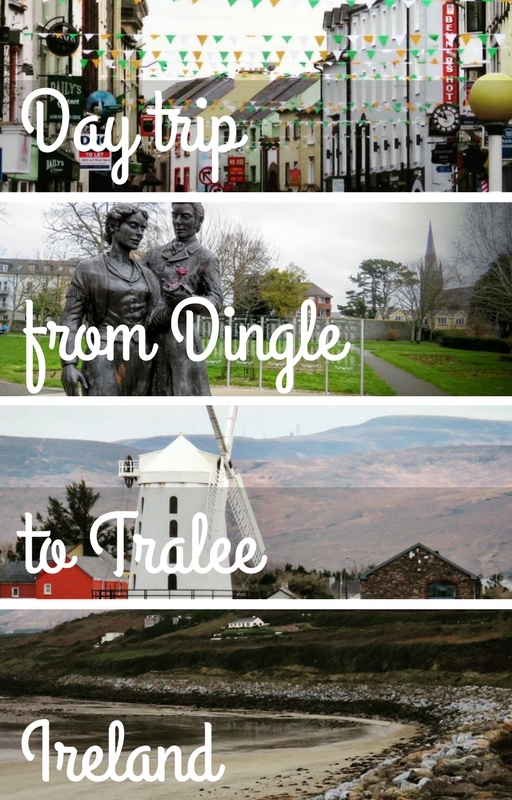 Learn about things to do on a day trip between Tralee and Dingle Town in the West of Ireland. Written by travel blogger, Jennifer (aka Dr. J) from Sidewalk Safari.